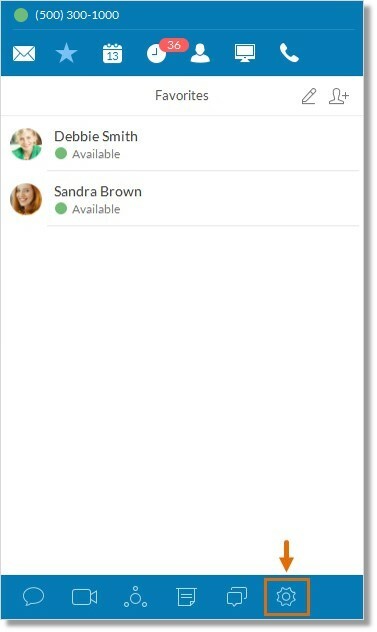 How do I change the Outbound Caller ID on my Office@Hand for Desktop App? Outbound Caller ID is the number displayed to the recipient of your calls, text messages and faxes. Follow these steps to set the Outbound Caller ID from the Office@Hand Desktop App. Note: You can only use Office@Hand phone numbers assigned to the Auto-Receptionist and directly to the extension you’re associated with on Office@Hand Desktop App. On the main screen, click the Settings icon. Click Calls, then click the outgoing tab. Scroll down and look for the Outbound Caller ID section. 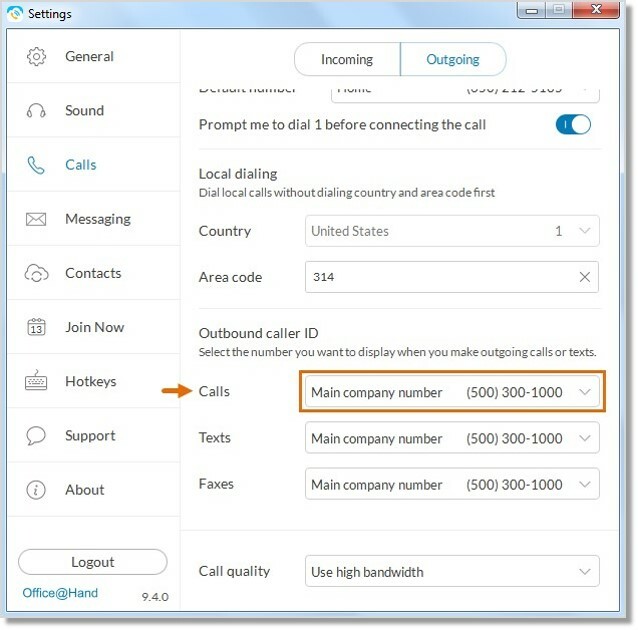 Click the drop-down arrow next to Calls, then select the number that should be displayed when making outgoing calls. The numbers available in the Outbound Caller ID selection are labeled for proper identification. Account Administrators can set the company phone number name or label. Note: Caller ID selections found on the Online account are also available.